I’ve been crying since the official announcement yesterday that I’d have to wait until 2015 for a return trip to Gotham City. Batman: Arkham Knight is in need of some extra polish, but honestly, Rocksteady has earned enough of my trust. Until then, I’ll have to make do and lick my screen every time I see a Batmobile pop up on it. 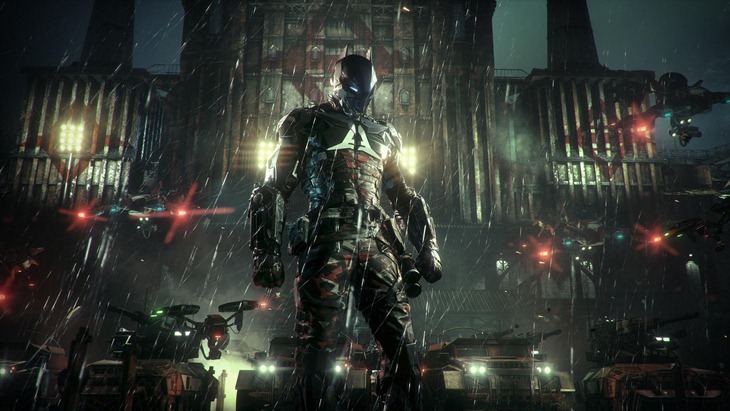 Speaking on DC All Access, Arkham Knight marketing Producer Dax Ginn spilled some more beans on the title villain of the game, as well as the new details on the Batmobile being able to transform into a small tank. 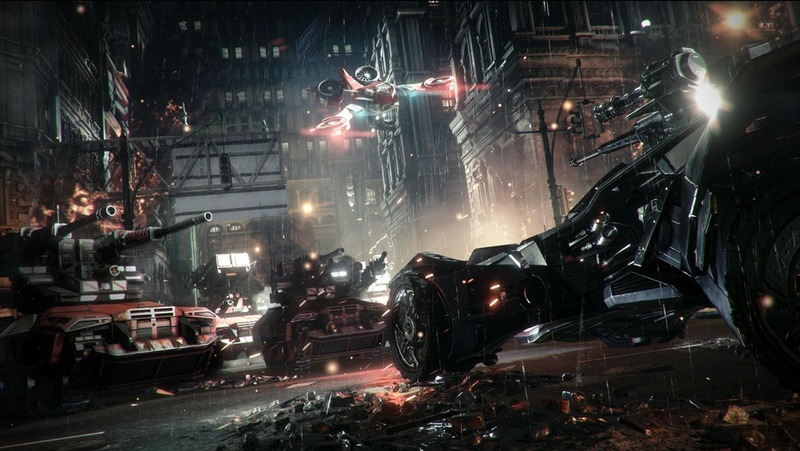 “The Batmobile has to integrate into Batman and add to the experience and add to the experience as a whole,” Ginn said of the iconic piece of crime-fighting equipment. Like the ability to eject out of the Batmobile at insane speeds and then transfer that momentum into Batman and then soar across the skyline of Gotham City at that crazy altitude. There is no other game that can does this. It’s only Batman and only the Batmobile that can give me that experience. Designing a Batmobile that transforms into a completely different mode, that was such an exciting idea of having this ability to transform into an offensive tank. At any time, you can make that decision to be in the Batmobile or out of the Batmobile. It’s just about all of those decisions all being available all the time. But each and every one of them makes you feel like being Batman every step of the way. But being Batman isn’t enough. He’s a hero who is defined by his villains, and there’ll be plenty of old faces in Gotham. But there’ll also be a new menace lurking in the streets. “The opportunity to bring in a new villain into Batman’s universe does not come along very often,” Ginn said about the Arkham Knight that will plague Batman in the latest game. 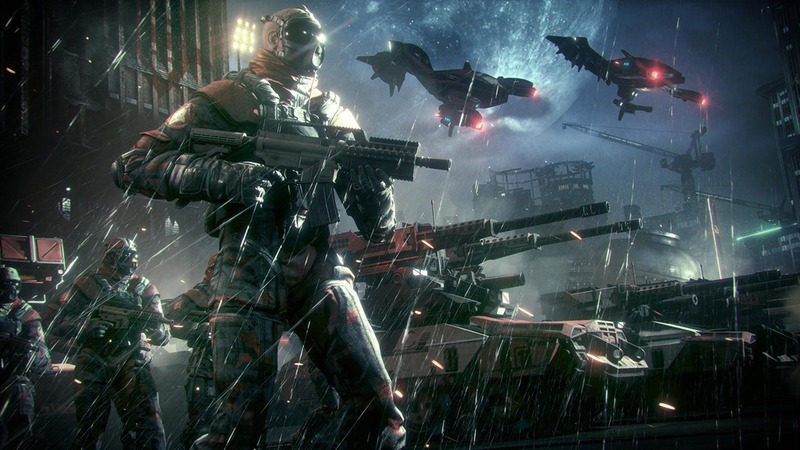 When we started that from the design phase and concepting him out and then giving him this kind of combat expertise that ensures that he goes head to head with Batman and the fact that he commands this vast varied, immense military force that is rolling into Gotham. That’s just so much stuff to think about and make work. And the fact that it does all work is a testament to the amount of conviction there is amongst everyone at Rocksteady. 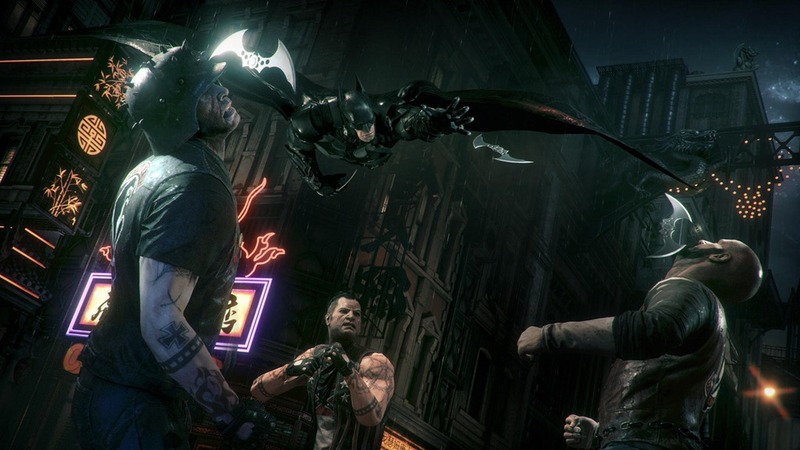 Batman: Arkham Knight is out in 2015. I’m heading back to the shower to go cry and scream about Einhorn being a man.